Studio Jules Art - Blog: New Pictures! Last week I was able to spend some time dyeing fabric for my next quilt series. Hopefully I'll be able to start on the first of these four quilts next week. My schedule is filling up, so I'm going to have to make sure I have a day or two devoted to studio time. 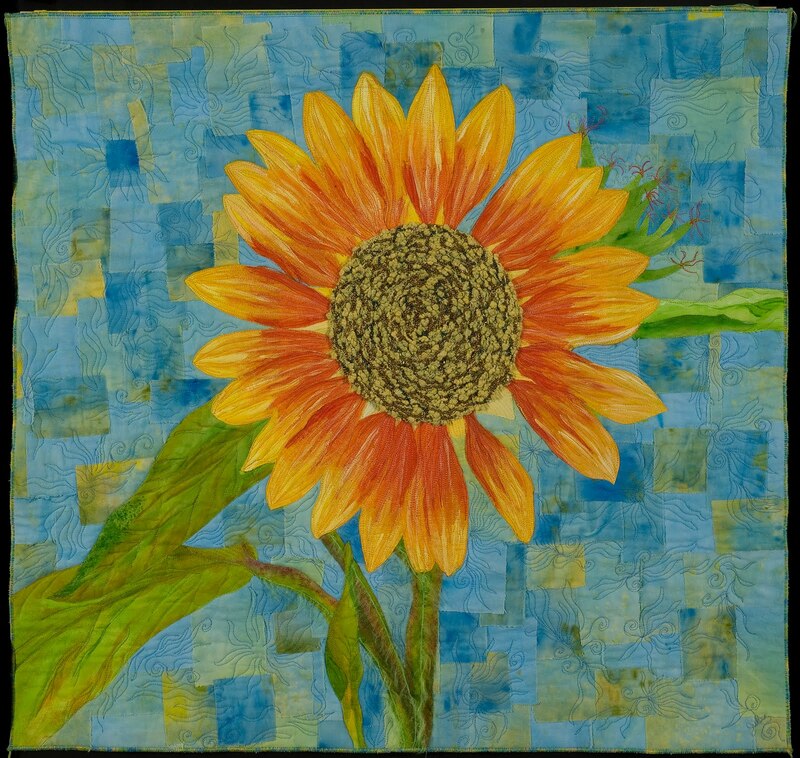 Today I was able to make it to the photographer and have professional pictures made of three of my quilts. You have seen two of them already, but those were pictures I took. The colors and textures the photographer was able bring out are much better than what I can accomplish. The one you haven't seen yet is my "Outside In" quilt. I've shown you pictures of the detail of the quilt as I was working on it, but here is the full picture! It measures 21" x 71". When you zoom in you can see the detail of the beading and stitching. 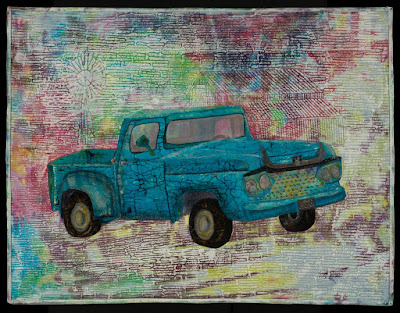 Here is the "Truck Quilt". When you zoom in you can see the detail of the stitching and the beading. 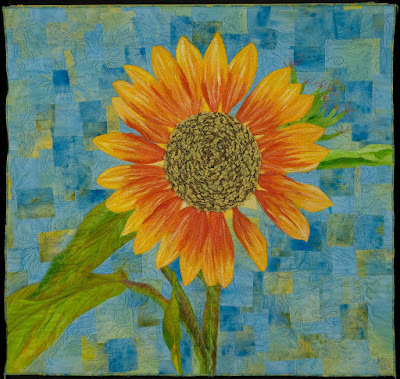 Finally, here is "Sunflower with a Passion for Color". 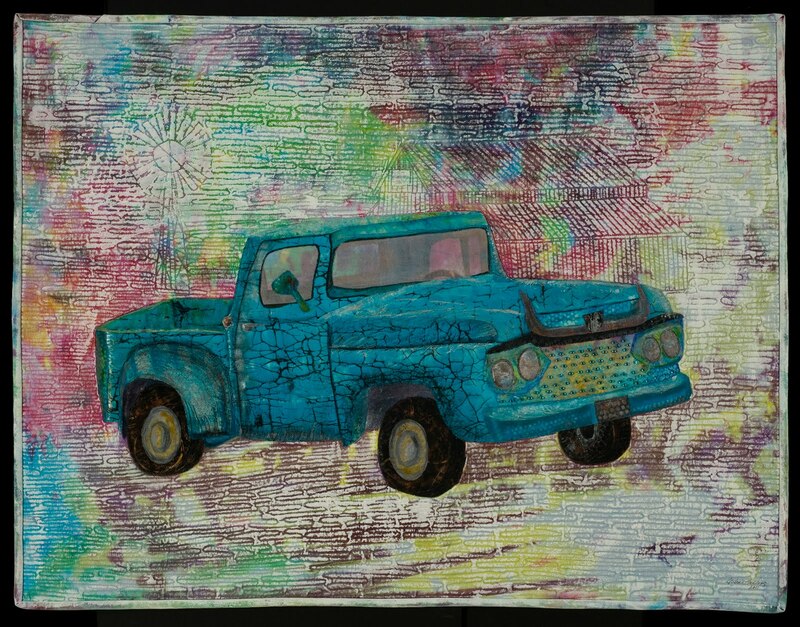 The quilting, brush strokes and thread painting show up beautifully in this picture. I love this quilt, and would love to sell it!